If there is one thing I can say, it is that I absolutely love Crested Butte. Just thinking about this perfect town gets me all giddy inside. What’s even better is that it doesn’t matter what season you are in. It is always magical. 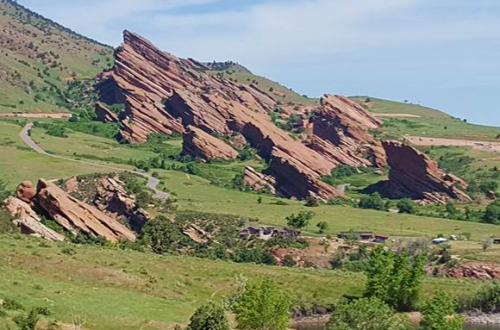 What gets me more is that whenever I am talking about this glorious place, people often have never heard of it, even when speaking to people who live in Colorado. To be fair, I didn’t know much about this town until I finally made the trek a few years back. 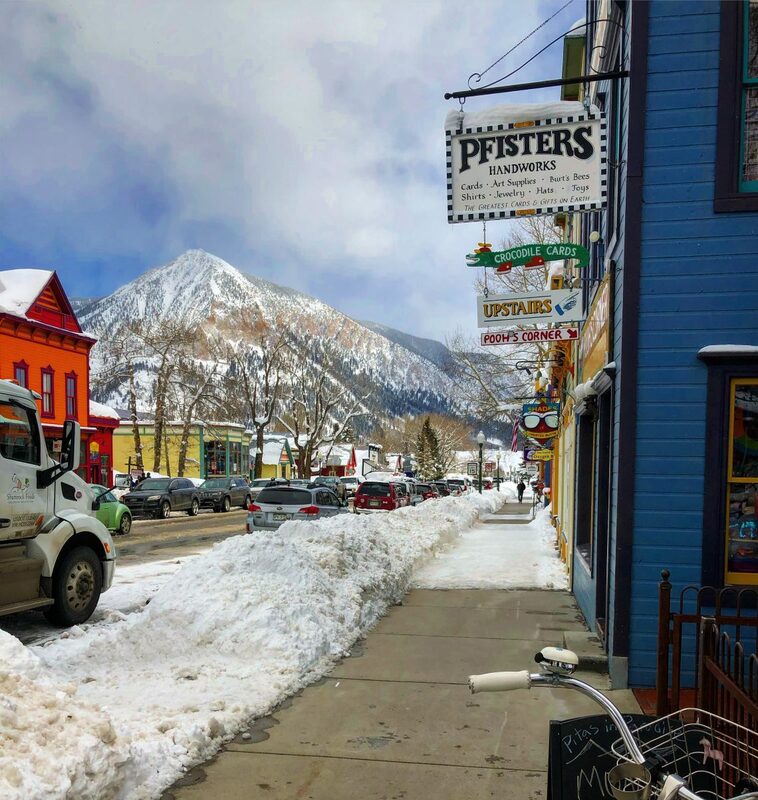 Crested Butte is quite a bit away from Denver, roughly four hours to be exact, and while many of Colorado’s ski towns continue to be popular destinations for travelers, Crested Butte seems to be a bit more of a secret. Oh but that secret is something, let me tell you. As someone who lived in Salt Lake City, and is accustomed to living next to beautiful mountains, Crested Butte left me speechless. We literally had to stop the car while searching for campsite because we really needed a moment to take it all in. Again, I am no amateur to mountain views but there was something about these particular mountains that stopped us right in our tracks. Basically, if there was a heaven, it sure would look something like this. 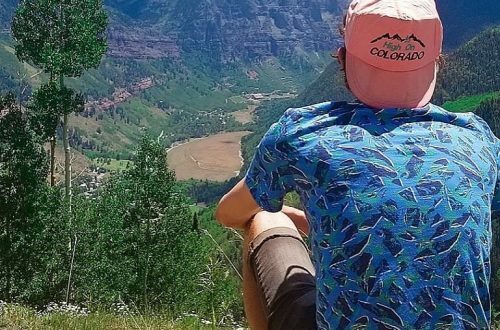 Not only does Crested Butte have some of the most glorious scenery around, the town itself is nothing short of perfection. 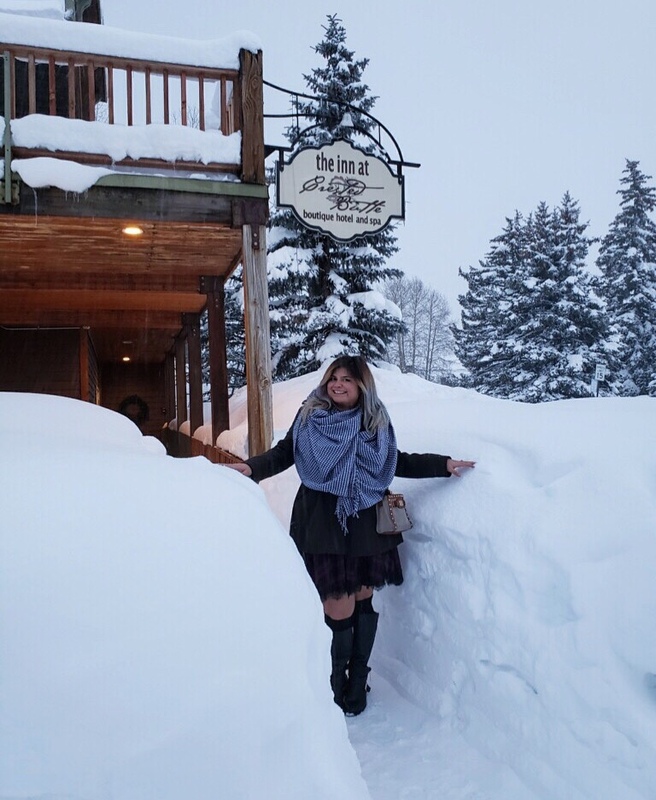 Move over Disneyland, Crested Butte is my happiest place on Earth! Words cannot describe how obsessed I am with the forests near Crested Butte. Just picture this. While staring into the scenic mountains, butterflies wisp across your face as a family of deer prances amongst the woods. No I’m not joking. And yes, I did feel like Snow White at the moment. 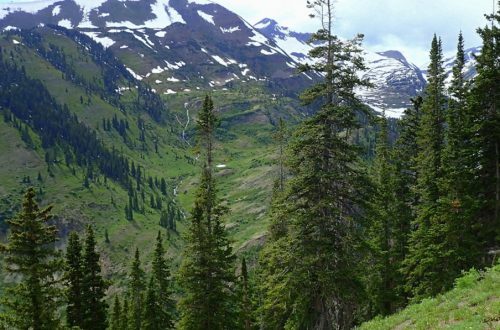 Crested Butte rests amongst the glorious Gunnison Forest which offers some of the best hunting, fishing, hiking, skiing, and mountain biking in the state. From the town, you can even see Mt. Crested Butte where many people like to ski and hike. One of my absolute favorite campsites is in Washington Gulch near Crested Butte. If you look at the picture above, you will know why. While our site was a bit more within the trees, when we walked down the hill a few hundred feet, the mountain cleared giving us this perfect view of the mountain range. If you continue down the road, there is a river that you can play in as well. We didn’t get that far on our last trip, but you definitely can see people down there. My only advice is that when heading down this road, be sure to check out some of the sites farther down. You’ll see many on the bottom that are tempting but the real treasures are farther back. While I have personally only checked out this region, there are plenty around that are stunning as well. I have heard that Kebler Passalso offers some great sites as well. 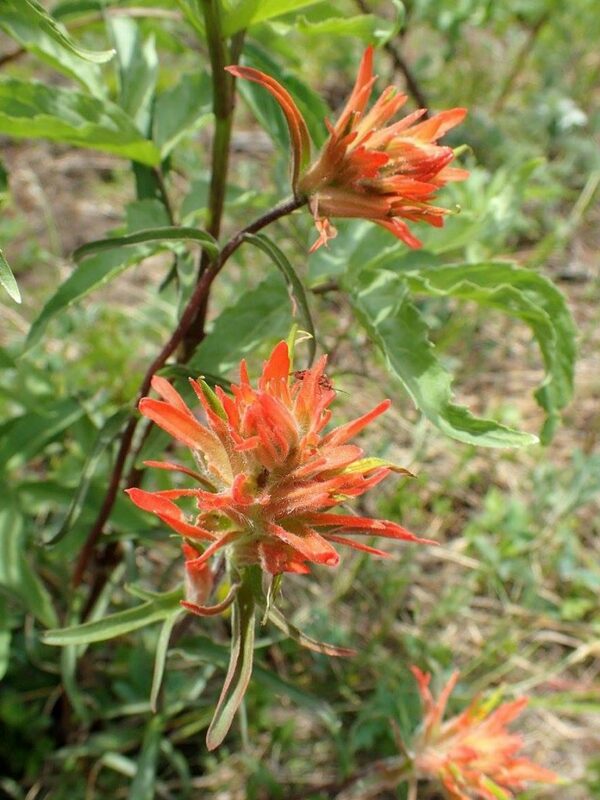 I thought I understood wildflowers until I finally visited Crested Butte in July. They are everywhere! Fields of gold of purple line every surface of the mountains and I sure do mean every surface. It almost feels as if you have been transported into a fairytale. The town even hosts a festival to honor the beauty of this natural event. You can learn more about Crested Butte’s Wildflower Festival here, but honestly, it’s worth checking out the flowers anytime in the month of July. We went camping on July 4th and were not disappointed, although they haven’t peaked quite yet at higher elevations. It seems silly to knock on the flowers when we went through because they were still quite amazing. 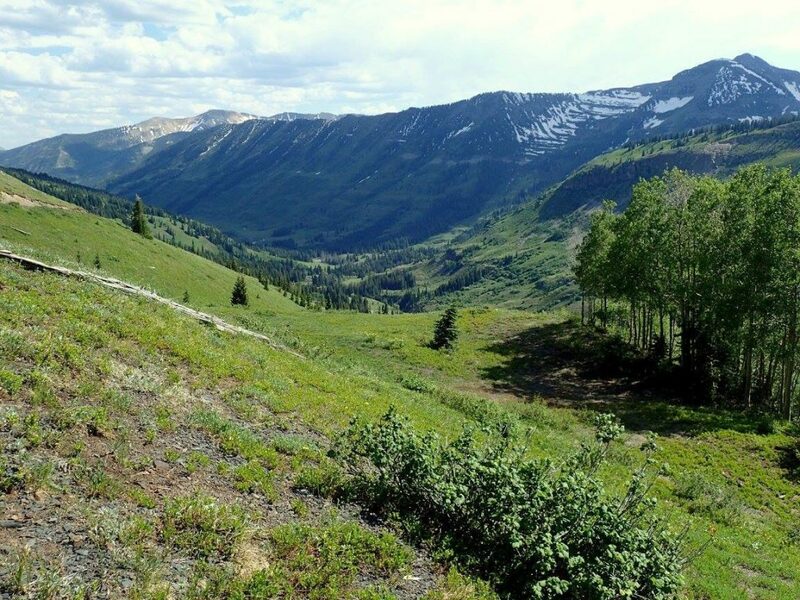 If you are really feeling adventurous, there is a great hike that connects Aspen to Crested Butte listed here. It’s roughly 10 miles or so but I’ve heard that it is epic to go during this time. I am dying to give this a go at some point and I’ll definitely update you when I get around to it. Kebler Pass is known to be one of the best locations to spot fall colors during the changing season. While I haven’t personally witnessed this myself, I’ve seen amazing photos with golden and red hues as far as the eye can see. 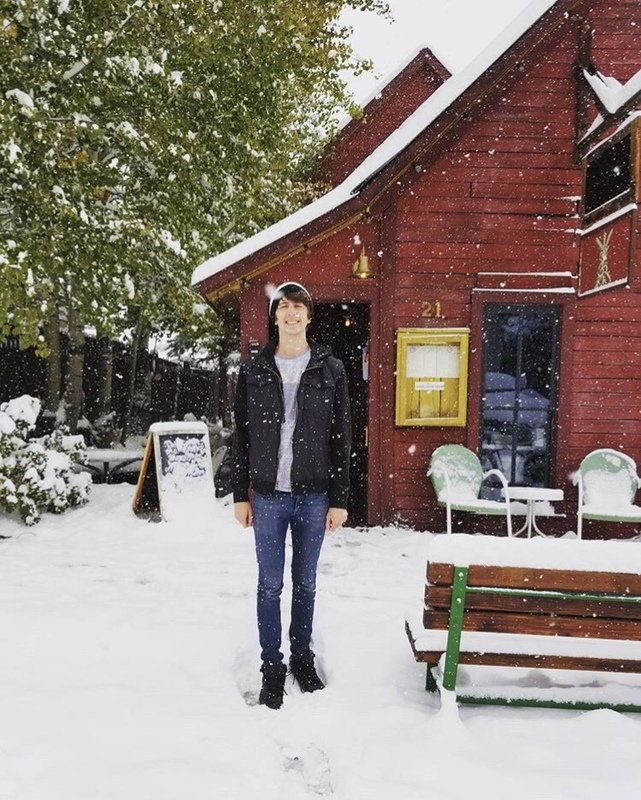 A couple years ago, we tried to stop by on our way back from Salt Lake City for one of my best friend’s wedding in October and we hit a storm. I’m talking a good foot of snow! Although we had to change our fall foliage plan, we did spend the night in a beautiful hotel right by the ski resort and let me tell you, ski resorts in off season has the best deals! Maybe next year we will be able to check out the colors as well. This year, the Epic Pass added Mt Crested Butteto their pass and we were ready to take advantage of this new resort. Unfortunately, my husband Robb’s binding shattered and, well, we had to cut our trip short. No worries, no one was hurt but we had to miss out on two feet of fresh powder in two days. Yes, you heard me right. Two feet of powder! 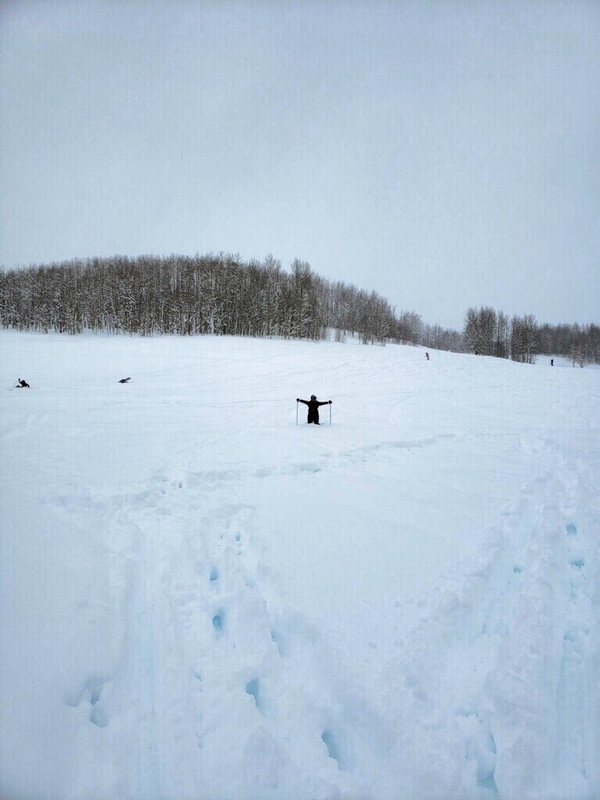 Crested Butte gets a ton of snow during the winter so if you like to ski or snowboard, you are in for a serious treat. We didn’t get to explore much of the resort itself this time but we are aching to get up there before the season ends. Even as a more beginner skier, the runs are simply beautiful. I love Aspens and Mt. Crested Butte is filled with them. I am so ready to get back there. Just look at the buildings themselves. Main Street is adorable! I love how they made all of the building unique. Honestly, it feels like you are walking down a street inside an amusement park. When we first came to Crested Butte, they held a Fourth of July festival and it looked straight out of a Disney movie. Kids were joyfully running around without a care in the world. Smiles were on everyone’s faces. A hint of barbeque crossed your path as music filled the air. This is what dreams are made of. Top it off, once you go inside any of the restaurants or shops, local art usually fills the walls. I love art, and this town lives and breathes art. I absolutely adore a town that embraces the unique culture of the people that live there. It’s heavenly. I remember asking the man working at the hotel we were staying in where we should eat and he basically said, you can’t go wrong in Crested Butte. He is right! The food here is just exceptional. One of the most popular spots is called Secret Stash and it is cool. You feel as though you just walked into a music festival and the food sure does deliver. Eclectic décor lines the walls of this hippy themed joint while the menu presents quirky but delicious options. If you are going to eat anywhere in Crested Butte, this is your spot. 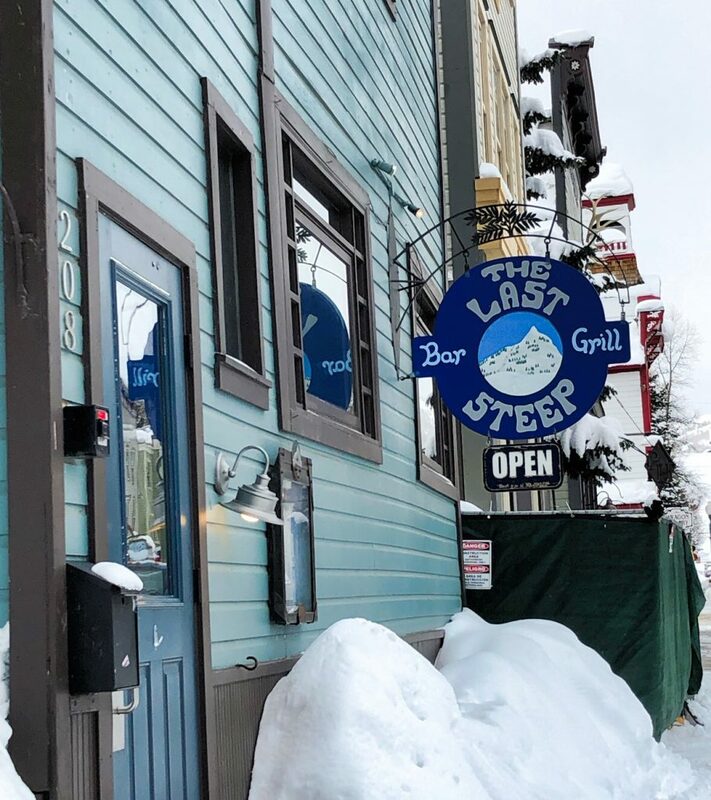 Another one of my favorites is The Last Steep, a grill heavy on the Grateful Dead theme with wonderful service and a hip vibe. Their menu offers classic grill items with a few Cajun classics. 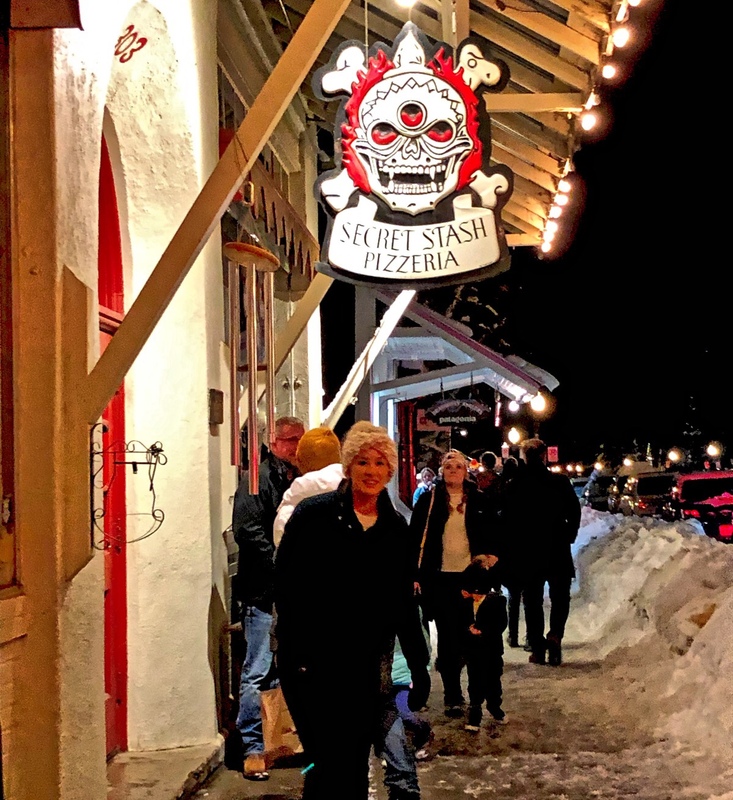 One thing you will notice about Crested Butte is that unlike other mountain towns, there is a wide selection of cuisine while lacking the dreaded tourist traps. As someone who never cooks the same meal twice in a month and loves to travel, I certainly approve. Since Crested Butte is a little more off the beaten path than Vail or Aspen, there are plenty of affordable lodging options that don’t skimp on the luxury. One thing that gets frustrating in the on season such as ski season is that rooms can cost hundreds of dollars and sell out quickly. However, you can find a pretty nice room right in the middle of town for under 150 or so. We stayed at the Inn at Crested Butte for around that price and it was awesome. The cute boutique hotel offered a hot tub with a view, a free wine happy hour, continental breakfast, and excellent service. Plus, we were only a couple blocks from Main Street allowing us to keep our car parked while we explore the nightlife. Walk around for a minute and people are filled with joy. If you stop to take a picture, someone might stop to tell you how perfectly beautiful this place is. Everyone is just so happy and kind. It’s basically impossible to feel down while visiting. This last visit, I was having a bit of a dispute with my husband (hey it happens to all of us) and a woman at the bar went way out of her way to cheer me up. That doesn’t happen everywhere. Hell, our car got stuck in snow bank and people helped us out. I feel like people here are just genuine. Every time I go to a restaurant, I feel like family. Customer service is one thing but there is something about this town that is just more. I don’t know. Maybe it’s my inner new age hippy speaking but the vibes in the town are simply the best. Well, are you ready to visit my favorite Colorado town yet? I mean personally, I’m already looking to sneak another trip in too. 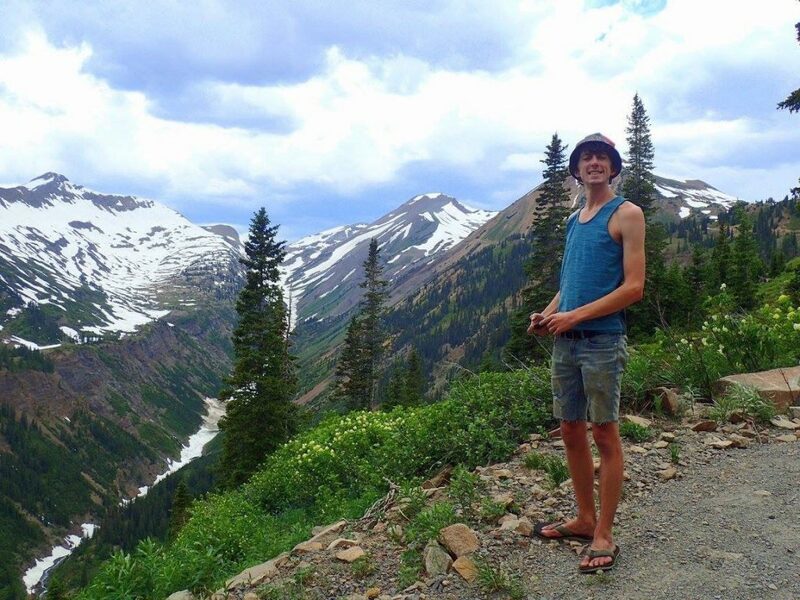 Have you been to Crested Butte? Do you have anything I should know for my next trip? Let me know if the comment section and if you like stories like these, please subscribe to my blog. Thank you for checking me out!